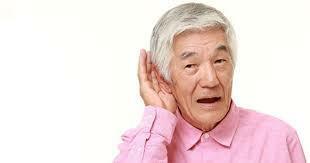 Our abilities to function everyday are vitally dependent upon our hearing health. Though it is often taken for granted, because it’s usually there, something can happen to affect this precious gift. Aging certainly can affect this sense and our sense of balance; which quite often can diminish over time in a gradual manner. Other harms such as trauma, infection, as well as wax buildup, hole in the eardrum, tumor, stroke, genetics, nerve damage or illnesses such as dementia can also bear on this health issue. Examples of actions which bring about concerns are through over exposure to certain noises without protection, resulting in nerve damage. Loud music, machinery, shrill and continuous noises are also inclusive. Noises, however, do not necessarily have to be loud to do damage; the intensity, duration and how often the exposure occurs determines the damage. The failure of brain cells and their ability to process sounds can have a significant impact as well. Time and diagnosis are vitally important,to prevent long-term or permanent damage without the proper treatment. Auditory decline results in the inability to listen and comprehend; which can further impact fundamental communication with friends,and family, television programs, and telephone conversations. Church or doctor visits can be uncomfortable or difficult because you miss things though you make every effort to listen and understand what is being said. Others may get the wrong impression from your behavior; you may appear confused to them, or simply contrary. The demise of your hearing health can certainly diminish the joys of life and make you feel embarrassed and/or withdrawn. Recently in my reading I discovered an article which connects hearing loss with dementia (condition of the elderly which affects memory,behavior and other brain functions). According to the study, dementia can occur due to the strain of the brain in its attempts to filter and determine sounds as well as the intended meaning of that sound. The inability to hear clearly makes the brain's job of interpreting sound a lot more difficult. Your doctor should be consulted right away if you suspect you are experiencing problems with your ears and overall hearing health.  Entertainment -Don't allow yourself to not enjoy a great theater production or movie; simply because you have a hearing problem. Because of the Disabilities Act and the FCC you now have the opportunity to attend these activities and enjoy as everyone else. Most theaters are equipped with head sets which allow the volume to be adjusted for the deaf or hearing impaired. Closed Captioning is another service offered, it provides printed text of the audio for the viewer to have a clear understanding of what is going on. Call ahead to be sure these devices are available before attending. For many cultural, civic and some church activities there is signing or sign language. Take advantage of these services to better enjoy your favorite activities.  Television - Ear phones and closed captioning are available for viewing your favorite program or movie on television. Contact social services, rehabilitation agency or the cable company in your area for information on acquiring these services. In most cases there is little or no charge for the services.  Telephone - Again adapters for increasing volume and closed captioning can be obtained through your local phone company for using your land-line phone and cell phone. You must have internet service in most cases for it to work. There are also private companies which offer phone units for this purpose also. Check it out to see what is available in your area; no need to miss out on activities you enjoy. Should your hearing health treatment require hearing aides, there are many options or styles available now. Many of the style choices available are recommended according to your specific problem and some are almost invisible. Proper maintenance of these appliances are imperative for you to have clarity. Be sure to consult with the audiologist to make necessary adjustments and assure you that you are properly caring for your instrument. Hearing problems as well as appliances used for this problem are not generally covered by Medicare,but you may acquire some assistance through diagnostic services. Also, some of these services are carried by supplemental coverage, however, it is wise to check your plan. Annually you should make necessary adjustments or changes to your insurance plan to better meet your needs. Be sure to check with companies and agencies that offer discounts because these instruments are quite costly when you are living on a fixed income. Prices for them can range from $2000.00 to $8000.00 per ear. Check to see if you may qualify for Medicaid. Veterans Administration benefits would be a good possible source. Sometimes clinics offer their services at a reduced rate for the elderly, or they may offer a payment plan. If there is a medical college in your area you may investigate them as well. Communities differ in what they offer. Lastly, some manufacturers of these devices offer assistance to those with limited income. The ability to communicate with others around you is definitely worth every moment spent trying to get the assistance you need to maintain or improve your hearing health.